50 Years of Interdisciplinary Connections – And 50 More! For academics, fall is always a season for starting fresh – a new semester, new students, often a new version of a course or a new teaching strategy to try. But this year in the American Studies Program, we’re also looking backwards, preparing for the Fall 2019 celebration of our 50th anniversary. We’re reviewing our history – how the Program was founded, the people who played key roles, the projects students created, and how our graduates drew on their experiences in American Studies as they built their careers. Our Program Manager, Colva Weissenstein, has begun cataloguing all of the thesis projects American Studies students have produced, and she’s begun digitizing those that we only have in hard copy. We’re excited about documenting one of the signature elements of this Program, and the thesis collection will provide a great resource for current and future students. We’re also working on a documentary film about the Program’s history, which will premiere at the 50th anniversary dinner, Saturday, October 26, 2019. But we have plenty of new beginnings, too — a class of sophomores starting their American Studies journeys, juniors completing electives and core courses but also studying abroad, and seniors digging into their thesis projects. We also have several events coming up this fall. Keep reading for reports on student and faculty projects, alumni events and news, and the kick-off of our campaign to raise funds to secure the Program’s future. The American Studies thesis stands out in the memories of almost every American Studies graduate, a cornerstone of our Program, and an experience that allows American Studies students to rigorously engage with scholarship, undertaking their own focused research project. Over the years, American Studies students have written and produced theses on an enormous range of topics, pulling on threads from all periods of American history and from every corner of America, but time and time again, something closer to home emerges as a topic for inquiry: Georgetown. Since the 1970s American Studies students have pursued questions about the role Georgetown University and its history plays in the broader American narrative, the story of Washington DC, and in all our own experiences on campus. American Studies students have produced at least 17 theses that focus on Georgetown. These projects range broadly, examining Georgetown’s University culture, including questions regarding race and representation, and a number of students have used the University’s archives to explore Jesuit and Georgetown history. Both Michael Bryne’s (C’92) thesis, “A Young Gentleman’s Literature: Thoughtful Look at Georgetown College Journal” and David Bernstein’s (C’95), “Legend of the Blue and Gray: A History of Rowing at Georgetown” speak to the development of Georgetown’s unique culture and student experience, while “Black and Blue and Gray: Georgetown University Men’s Basketball, Race Perceptions, and Multiculturalism in Higher Education During the John Thompson Era” by Gregory Zlotnick (C’08) and Matthew Sheptuck’s (C’10) thesis “Race, Identity, and National Consciousness: Georgetown University’s Changing Conceptualization of Patrick Healy’s Racial Identity” dig into difficult historical complexities. 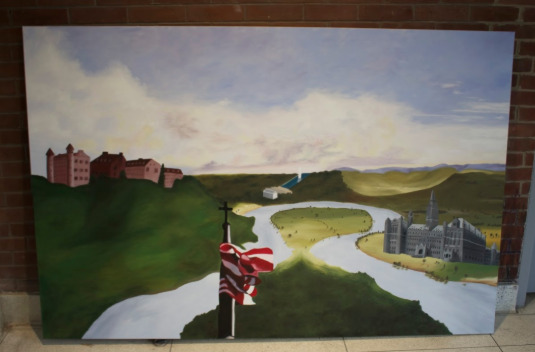 Two of these projects used alternative forms.Adam Rosenfeld (C’13) produced a documentary, “Becoming the Blue and Gray: Georgetown Students and the Civil War” (watch Adam’s film, the password is Amstud), and and Maggie Chaquette (C’18) created a mural, “Creating this City on a Hilltop: Defining the University’s Role After the Civil War and 9/11,” that now hangs outside our office in the Car Barn. We are working on getting all our theses into the archives at Digital Georgetown, but to do so, we need release paperwork for each one. If you would like more information about how to give us permission to digitize your thesis, please email Program Manager, Colva Weissenstein. Analyzing narratives and telling our own stories have helped American Studies students and faculty make interdisciplinary and interpersonal connections at Georgetown for almost 50 years. Stories are also powerful in our everyday lives – they help us connect with each other, advocate for ideas and policies, and make sense of the world around us. To celebrate our connections and continue learning together, American Studies held an interactive storytelling event on Monday, October 15th In Copley Formal Lounge with storyteller Noa Baum. The event brought current American Studies students together with alumni and faculty to tell our stories, share our experiences, and join together as a community. Noa Baum is an award-winning storyteller, educator, and public speaker who has performed internationally with diverse audiences ranging from the World Bank and prestigious universities and congregations, to festivals, government agencies, schools, and detention centers. Noa offers a unique combination of performance art and practical workshops that focus on the power of stories to heal across the divides of identity and build bridges for peace. This fall, American Studies alum Jordan Gray (C’09) and Professor Erika Seamon will lead our students, faculty, and alumni from Georgetown’s American Studies Program, on a visit to Josiah Henson Park. We will engage with the lead historian and archeologist at the site and ponder questions related to memory, slavery, and material culture. Located in North Bethesda along Old Georgetown Road, Josiah Henson Park is a historic resource of local, state, national and international significance because of its association with Reverend Josiah Henson, whose 1849 autobiography, The Life of Josiah Henson, Formerly a Slave, Now an Inhabitant of Canada, as Narrated by Himself, inspired aspects of Harriet Beecher Stowe’s landmark novel, Uncle Tom’s Cabin. Montgomery Parks purchased the formerly private land in 2006 and has been fundraising in order to convert the site and historic building to a historic/cultural park. The future Museum and Education Center will contain an interpretive program to honor Reverend Henson with construction beginning in November and a planned opening in June 2020. During our visit to Josiah Henson Park, Jamie Kuhns (Montgomery Parks’ Senior Historian) and Cassandra Michaud (Co-Lead of Montgomery Parks’ Archaeology Program) will discuss their work as it relates to the ongoing archaeological excavations, research, and historical interpretation. After a quick tour of the house and property, Cassandra will describe what has been discovered via tree-ring analysis, interior archaeological dig, and what other artifacts have been found at the site. Jamie will share her experience researching Josiah Henson and developing the future interpretive exhibits for the Museum and Education Center and writing a biography of Josiah Henson, “Sharp Flashes Of Lightning Come From Black Clouds: The Life of Josiah Henson“, due out this fall. And a big thank you to Jordan Gray for helping to set up this year’s field trip. Jordan works in Public Affairs for Montgomery Parks. In this talk, Yuhl will examine the complicated relationship between history, heritage, and memory through various case studies that help us interrogate how we “know” what we think we “know” about the past and and whose narratives are served through that “knowing” as expressed through commemorative culture. In particular, she will explore how different societies remember elements of WWII & the American War in Vietnam and what those memories might tell us about national hopes and values, about generational change, and even about decisions regarding the military. Animating this presentation is the notion that history is different from the past – it is the often contested way that the past is remembered in the present. 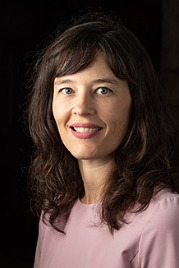 Stephanie Yuhl is a Professor of History at the College of the Holy Cross and an alumna of the American Studies Program at Georgetown University. She is a recipient of the Fletcher M. Green and Charles W. Ramsdell Award for the best article published in the Journal of Southern History, as well as the Inaugural Burns Career Teaching Medal for Outstanding Teaching. Professor Yuhl is also an Associate at the Harvard Graduate School of Design in the Critical Conservation Program, and an expert in twentieth-century US cultural and social history, with specialities in historical memory, social movements, gender, and Southern history. She is the author of the award-winning book, A Golden Haze of Memory: The Making of Historic Charleston. On May 31, seventeen Georgetown American Studies alumni, parents, and students gathered at the Union Club in Boston to share their stories, hear an update on the program from Professor Erika Seamon, and meet the new dean of Georgetown College, Christopher Celenza. They also heard from Richie Mullaney, a 2018 graduate of the Program. Attendees ranged from one of the Program’s first graduates, Cliff Librach (C ’73)to Meghan DeCourcey (C ’19), who is just starting her senior year. Other participants included Colleen Arons (C ‘97), Michelle Barrette (C ‘90), Christopher Coburn (Parent of Caroline (C’10) and Bridget (C’16)), Stephen DeCourcey (Parent of Meghan (C ‘19)), Courtney Ingard (C ‘15), Caroline Klibanoff (C ‘12), Mariel Manzone (C ‘07), Kevin Meagher (C ‘94), Bridget Power (C ‘12), David Varner (C ‘02), Alison Vinciguerra (C ‘07), and Karen Weierman (C ‘93). Thanks to Martha Lawler (C ’86) for organizing the event! We’re planning a few more alumni gatherings around the country over the next year, and we’ll be in touch as we get those scheduled. Want to host an American Studies reunion in your community? We can help. Email Sherry Linkon for more information. New York Times investigative reporter Megan Twohey (C ‘88) was awarded the 2018 Pulitzer Prize for public service, with colleague Jodi Kantor, for breaking the story of Harvey Weinstein’s decades of alleged abuse toward women. Their reports inspired the #MeToo movement and generated important conversations about sexual harassment in the media, politics, education, and other workplaces. Twohey and Kantor were also recognized with the George Polk award for national reporting. Twohey has spent much of her career investigating issues related to gender, family, health, and politics, writing for the Reuters news service, the Chicago Tribune, and other outlets. This year, the American Studies Program initiated a one-year faculty fellowship program to encourage faculty across campus to work more closely with our students and pursue research in American culture. We awarded the first fellowship to Professor Yuki Kato, from Georgetown’s Sociology Department. Kato is an urban sociologist whose research focuses on social stratification, food and health, culture, and environment. She is writing a book, Cultivating the City: Urban Agriculture in Post- Katrina New Orleans, which draws on in-depth interviews with urban growers and activists as well as archival data to examine why gardening and farming have come to be seen as solutions for a range of urban issues. She is also co-editing a collection of articles, tentatively titled Back to the City: Food and Gentrification with Alison Alkon and Joshua Sbicca. The edited volume examines how food provides a unique prism through which to examine the forces and the impacts of gentrification. Kato’s education prepared her well for this kind of interdisciplinary work. 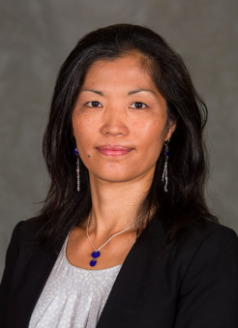 Along with a Ph.D. in Sociology from the University of California, Irvine, she completed undergraduate majors in Sociology and Communication and minors in Spanish and Chinese at the University of Massachusetts, Amherst. Prior to joining Georgetown faculty, she has taught at Towson University and Tulane University. As an American Studies Fellow, Kato will pursue a local research and outreach project, bringing together a network of D.C.-area scholars and activists with shared interests in food justice and urban agriculture, and our students will have multiple opportunities to learn from her and participate in her work. Next spring, Kato’s Culture and Consumption course will be offered as a core course for American Studies students in the spring. She plans to hire undergraduates to help identify and map local projects such as urban farms, green spaces, and sustainability enterprises, with a particular focus on social entrepreneurialism. In addition, she plans to invite a speaker to address these issues, and she will lead a local field trip for American Studies students, providing opportunities for our students to learn more about the local community, about issues of gentrification and sustainability, and see how interdisciplinary work extends beyond the University and into community development projects. Kato will also join the American Studies Advisory Committee, helping to add a social science perspective to our work. At the end of the Spring 2018 semester, American Studies invited our rising seniors in the Class of 2019 to apply for summer research funding to allow them to travel, to spend time in archives, and even to cover personal expenses – allowing students to immerse themselves more fully in their chosen subject in preparation for their senior year and senior thesis. This year funding was awarded to Julia Greenwood and Susan Brynne Long. Both students were able to spend time in archives, on research sites, and learning the fine art of productive research.